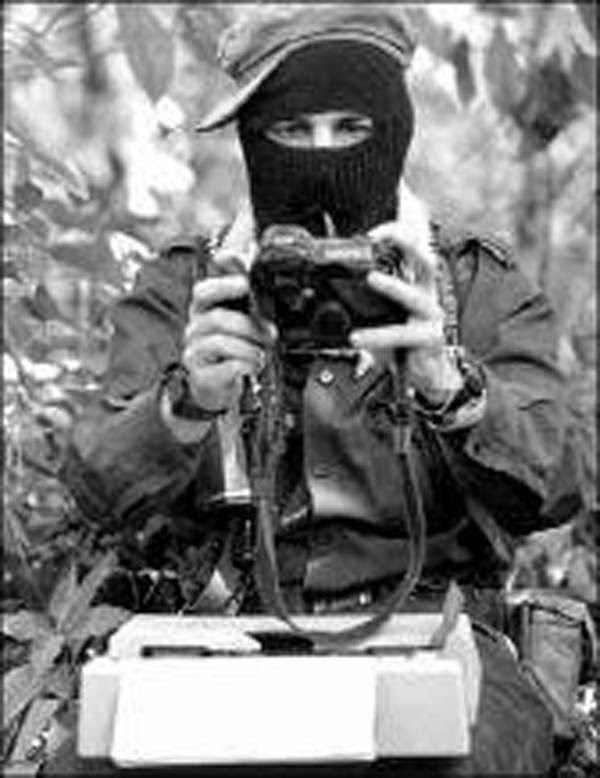 “Your job is to give life, you are an example to many of the young,” message to the Zapatista JBGs. Altamirano, Chiapas. August 8. “Your job is to give life, and an example to many young people who are on this path of struggle,” said the collective of young people from the Selva Tzotj Choj area, on the twelfth anniversary of the Zapatista Good Government Juntas (JBG) in the Caracol of Morelia: Whirlwind of Our Words, in the official municipality of Altamirano. In the JBG “Heart of the Rainbow of Hope”, thousands of Zapatista Support Bases (BAEZLN) witnessed the programme presented by the second grade students of the Autonomous Rebel Zapatista Schools; through music, plays, very other jokes, songs, traditional dances, poetry and sport, they recalled that 12 years ago the way of organizing called “Aguascalientes” ended and the period of the JBGs and the Zapatista Caracoles was initiated in Oventik. “Zapata cheated death, because he fought for the people in this south-eastern state,” the young people said, remembering also the birthday of the revolutionary general Emiliano Zapata, who was born on 8th August, but in 1879. “Today we say and cry again: Enough of injustice, exploitation and deception,” they added while offering solidarity to the struggles and resistance of Xochicuautla in the State of Mexico; Ostula in Michoacan; the families of the children of the ABC nursery, and the Yaqui Tribe of Sonora, as well as the peoples of Chicomuselo and Bachajón in Chiapas. Similarly they sent a greeting to the Indigenous National Congress and the national and international Sixth, and solidarity to the families and compañeros of the murdered and disappeared students from Ayotzinapa, Guerrero. “The response of the narco-government was to disappear, but from the shadow sprang the light ” they said in a poem about the attack on the normal school, on 26th September. Also, the Zapatista teacher Galeano, murdered by the pro-government group Cioac-h, on 2nd May, 2014 was recalled. The celebrations for the 12th anniversary of the JBGs were also held in the Highland, Border Jungle and Northern Chiapas Zones.